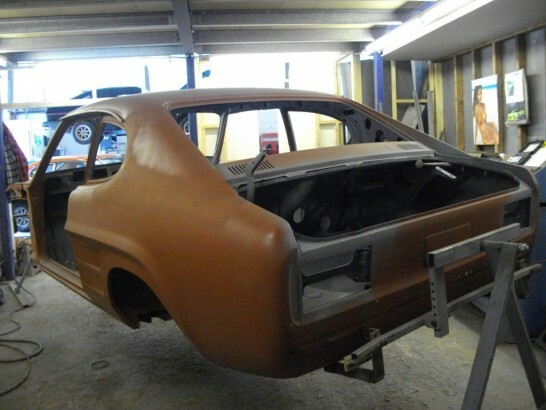 An RS3100 is a rare car these day and to find one that is as structually good as this one is even rarer, arriving allready stripped and blasted meant we we could mount the RS up on the roll over equipment straight away and start the fabrication. 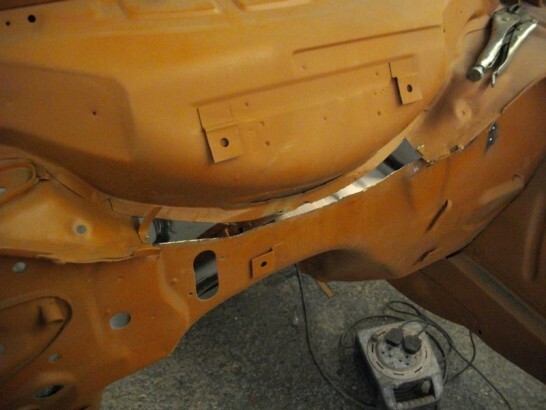 Suffering only small holes in some of the usal places. 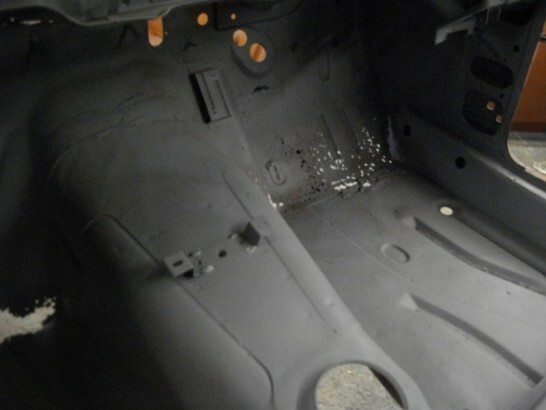 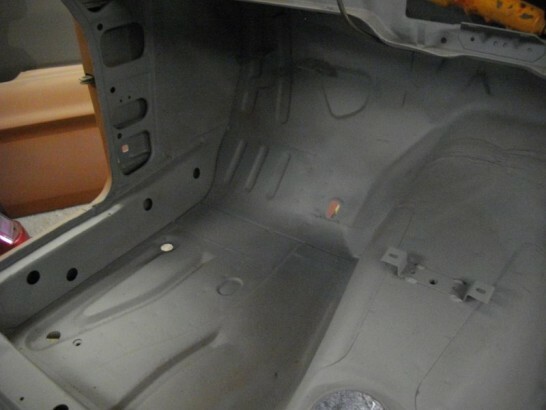 The footwell seem to be in the worst shape but not as bad as some of the later Capri’s that I have dealt with. 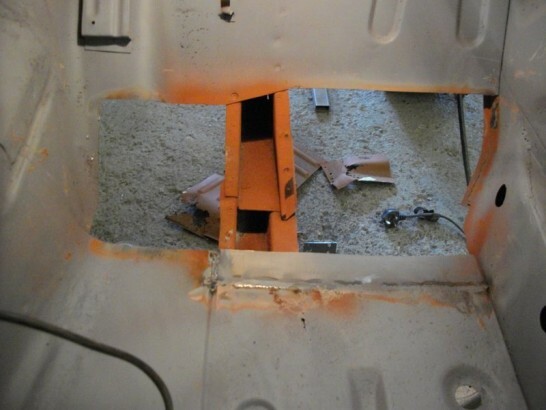 All the corroded steel was removed and a small srip welded to the floor section in preperation for the bulkhead panel being replaced. 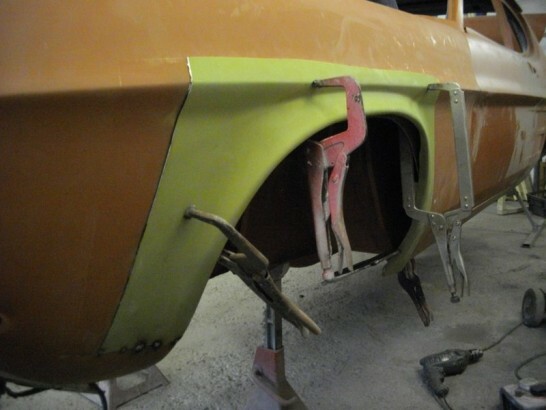 Two reclaimed sections ware removed from other Capri’s grafted and grafted together. 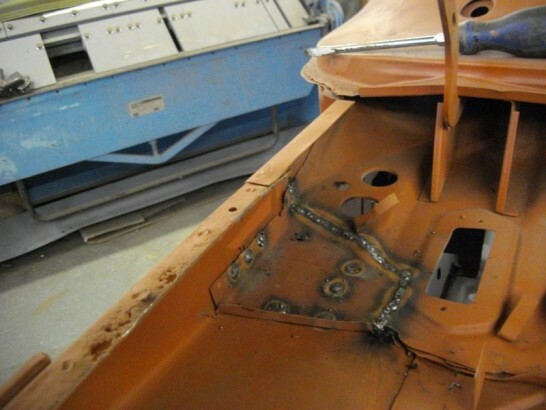 The finished footwell welded in place . 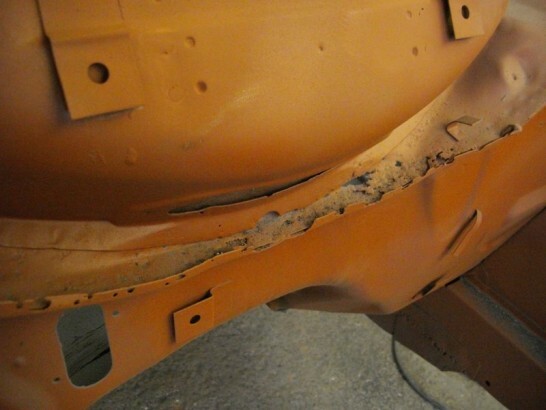 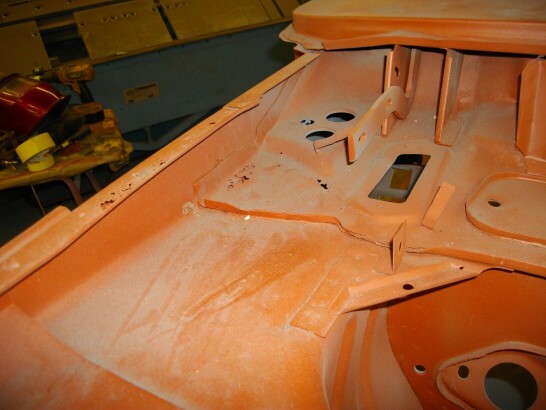 A hand formed section of the bulkhead had to be made as there is no replacement panels for this section of the car. 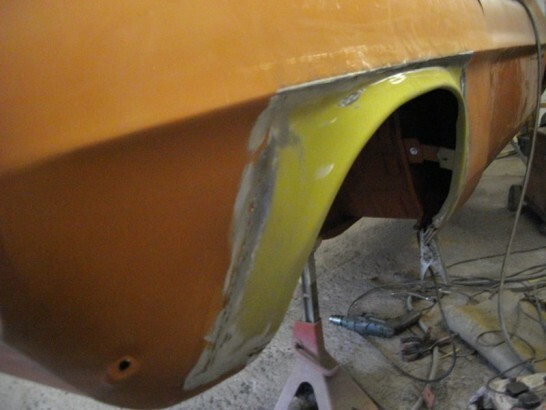 Luckily John had a new old stock RS3100 wing for the drivers side so the passenger RS arch was removed from the original wing and grafted into a standard replacemnt wing for the passenger side. 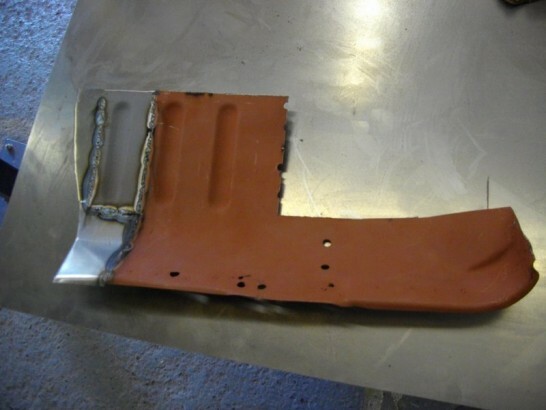 A small ammount of stopper to finish off and you would never know it was’nt a genuine Ford wing. 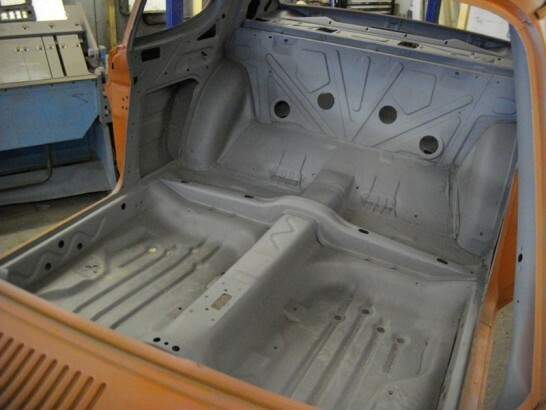 With the fabrication completed the shell was coated inside and out in two pack primer. 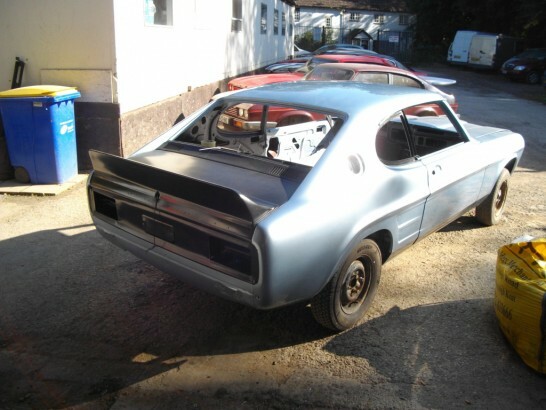 The RS3100 was then refinished inside outside and underneath in its original Stardust Silver. 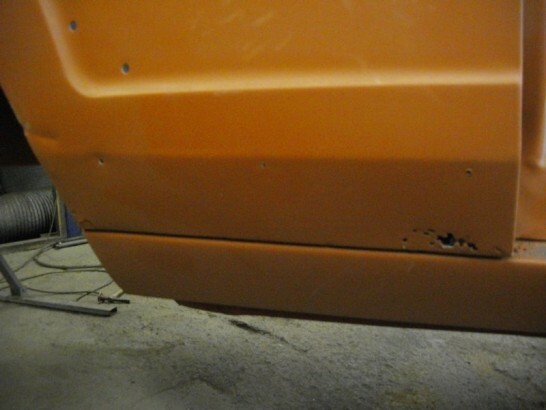 Th e RS spoilers needed a small amount of repair work before refinishing in satin black along with the boot lid sills etc. 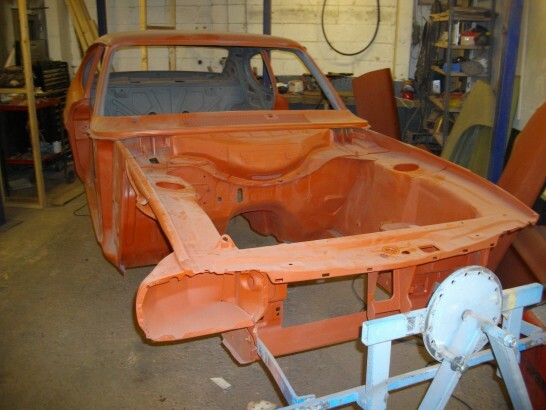 With the paintwork comlpeted the car will be refitted by the owner and should hopefully be making an apperance at castle coombe in 2013. 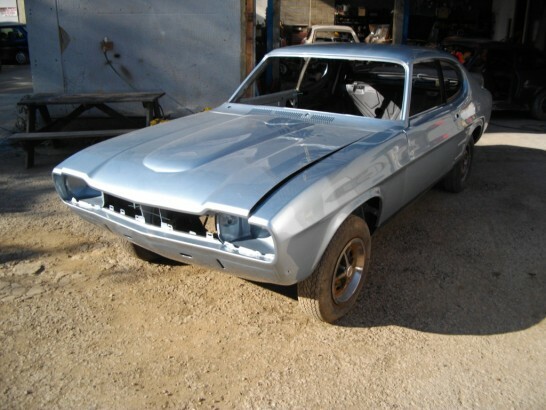 Watch this space as I hope soon to have some shots of the finished RS.